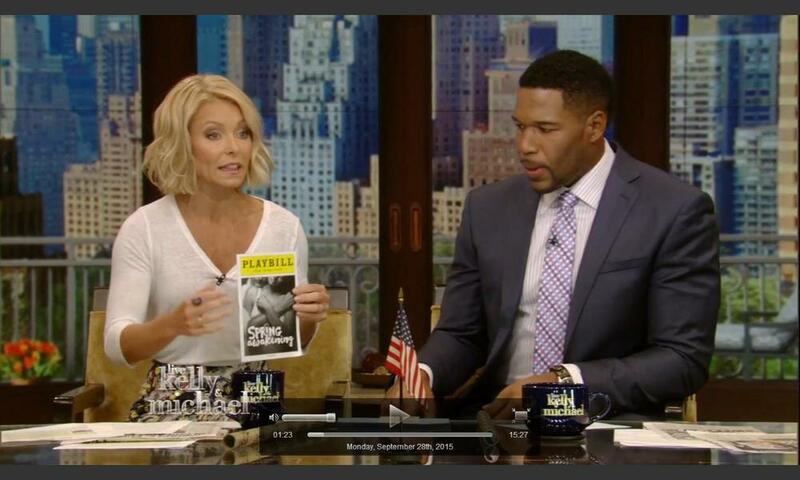 Kelly Ripa talked about watching Spring Awakening Broadway and raved about how good the show is. She also mentioned me as the music coordinator during their host chat on Monday September 28, 2015. Check it out - click on the link or image below to view the video.